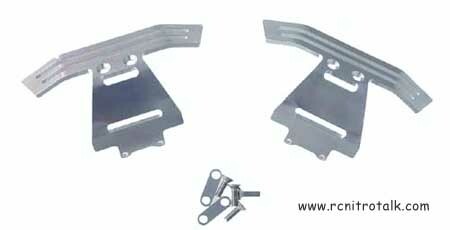 Team Losi mini lst aluminum bumper set from Racers Edge. The aluminum bumpers for the mini lst look great, and bolt directly on and increase strength for bashing. The aluminum bumpers are available in silver aluminum color and includes the required brackets and hardware for mounting the bumpers to your mini lst. Head over to www.racers-edge.com to pick up your set of the aluminum bumpers today or come join our discussion about the new mini lst bumpers in our Micro 1/18th Talk forum!